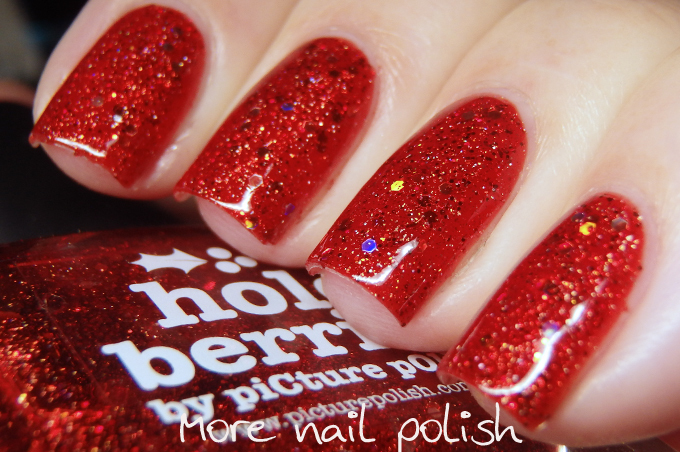 I have some swatches of three new shades released by Picture Polish at the end of last year. All three polishes follow the same theme together with the LE polish Holo Days released a few years ago at the same time. 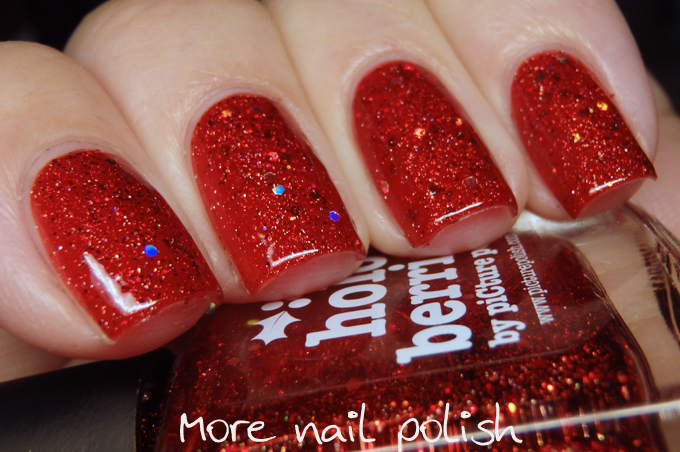 Holo berries is a bright red jelly polish that leans orange rather than pink. It has lots of scattered holo particles as well as small silver holo hexes. Coverage is very good for a jelly polish and I only needed two coats for full coverage. One coat of top coat was enough to make it smooth. Holo night is like the sister polish to the LE polish Holo days. They both have lots of scattered holo particles and red to orange to green flakies. 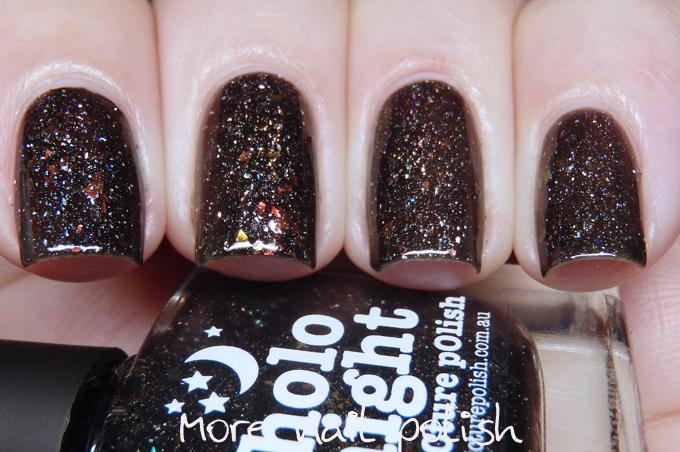 Holo night is in a charcoal base where Holo days was in a clear base. Again the base is a jelly finish that builds easily at two coats. I also did two coats of top coat as flakies can end up looking like little dents in your polish when the top coat dries. 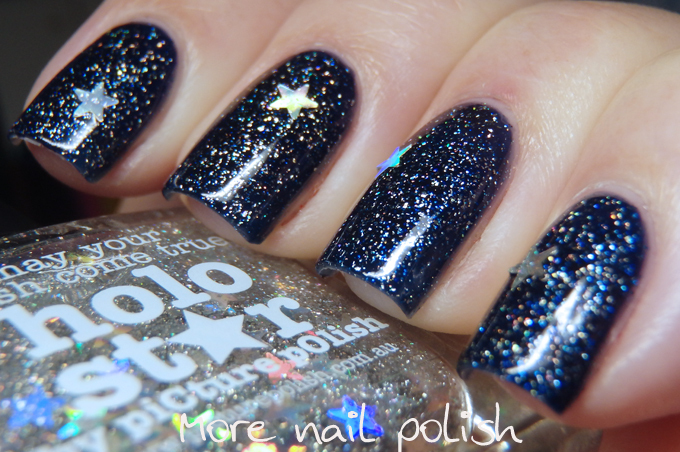 Holo star is the last polish in the collection and it can be used as either a topper or built to opacity on it's own at three coats. I wore it as a topper. 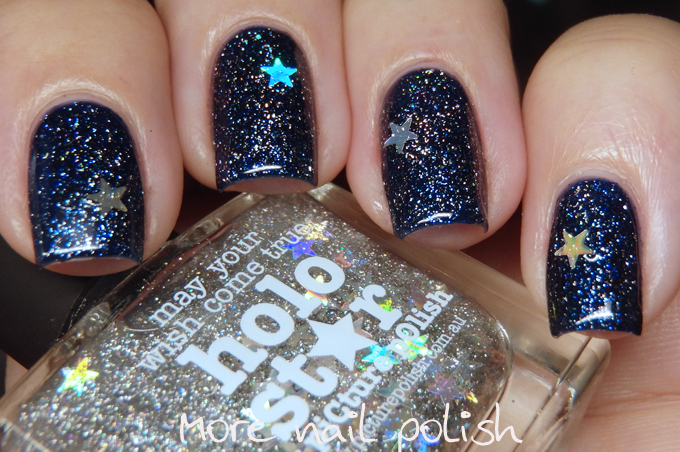 The polish is a good scattered holo top coat in a clear base, but it has the addition of silver holo stars. 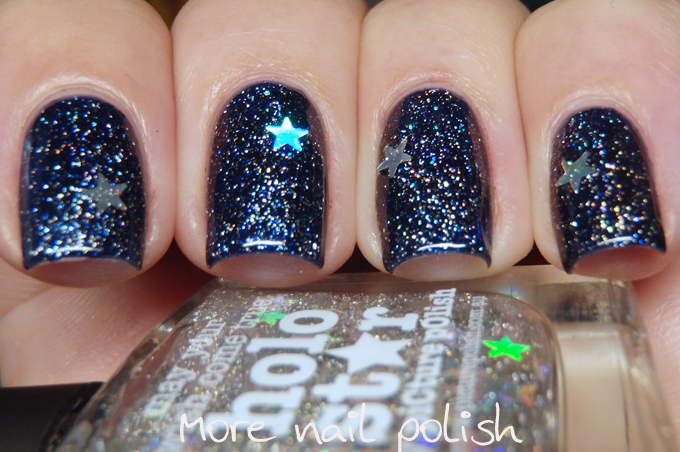 If you didn't want the stars on your nails they are pretty easy to leave behind in the bottle, but if you like the stars they are still easy enough to get out. I didn't have to fish in the bottle at all to get one star for each nail. 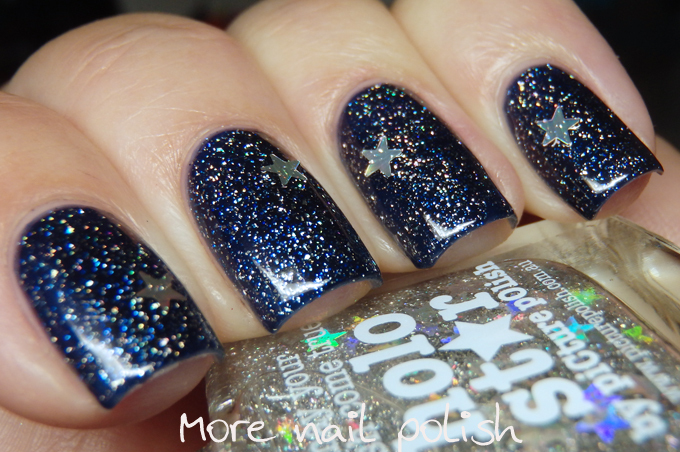 This is one coat of Holo star over Essie Starry starry night (original version). Holo star is still available, but both Holo berries and Holo night are listed as Special Editions, but "may be released again in the near future". 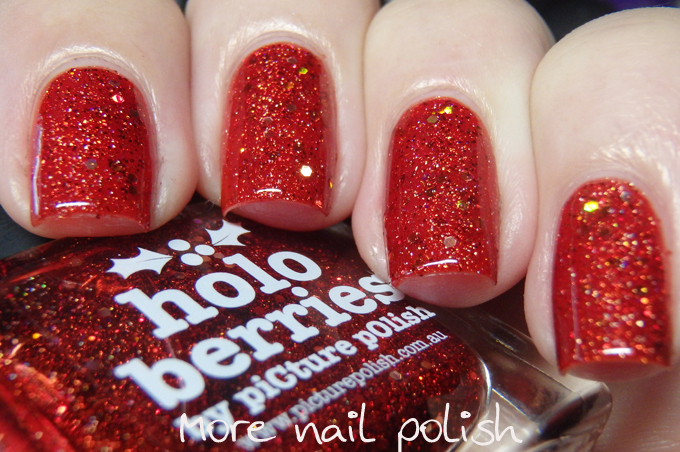 Holo Berries is beautiful and right up my alley!